What Happened at 49 Elgin Drive? My family rented this house over the winter of 1987-88, while our new house was being completed. The landlady was a particularly nice woman, who I believe was a nurse at one of the hospitals nearby. There was a downstairs tenant, a fellow by the name of Tony. If memory serves me correctly, he worked at the Swiss Chalet that was near there. Strange occurrences were starting to take place in the house. My mother, whom was left alone in the house during the days with my infant brother, noticed the front door would never stay shut. She would close the door, lock it, and put the deadbolt on, only to find it wide open again after a short period of time. This would happen numerous times each day. On one occasion, my uncle stopped by during the day, unannounced. He walked through the front door, and scared the living daylights out of my mother. He said "the door was open so I came in... but you really should keep it locked." She explained to him what was happening. They closed and locked the door, and watched with astonishment as it swung open again. I can recall one evening, we went to St. Hubert's for dinner. The house was all closed up when we left. When we returned, the front door stood wide open. The door to the basement also had a mind of it's own. I recall there being really thick carpet in front of that door, which had not been planed to accommodate for the height of the pile. The door, which led to Tony's apartment was kept locked, and because of the carpet, was nearly impossible to open. Open it did, nearly as often as the front door. I recall my father applying quite a bit of force to the door to push it back to the closed position. Neither myself, nor my mother were physically strong enough to open or close that door, even if we had access to the key! There was always the feeling of being watched in the house, like you were never alone. This is what I attribute my insomnia to, while living in that house. It was just a really strange atmosphere. My mother said after we moved out, that she felt as though there was someone watching her all day long. Years later, my brother, who was an infant at the time told us that there was a clown (of all things) that tormented him in his room. Constantly laughing, and being up in his face. This triggered a memory in me as well, and we both described this friggin clown right down to the colour of his hair. I don't recall hearing any laughter, but the laughing face, so close to mine, I never saw a body, just a round,chubby John Candy-ish face, in clown make up. To this day now, I can close my eyes and see it. Ugh, clowns. In the bathroom and the hallway outside the bedrooms, we had one of those sensor night lights, that would come on when it got dark. In the middle of the day while was was still quite bright outside, these lights would go on and off at will. At night, they would go off without warning. My mother had one encounter that really set her on edge. While home with my brother, she was working in the kitchen. She left the room to check on my brother, and when she returned, one of the top cupboard doors was opened, and a previously unopened bag of sugar was tipped (or set) neatly on its side, it's contents piled on the counter and the floor below. The sound of shuffling feet was heard throughout the nights in that house. A slow, deliberate shuffling of feet on the carpet, but no one was up, or in the areas it could be heard from. The only person who claimed at the time to have seen a full blown apparition in the house was my grandmother. She had come to visit, and was staying in my room. I was sharing my parents room during her visit. She told us that she had heard the shuffling in the night, and like me, was unable to sleep in my room. She told us that she sat up in bed, turned on the lamp an began to read. She heard the shuffling again, and looked up towards the door, which was always open. She told us that she saw the figure of an old woman, in a long white gown/nightgown pass the doorway, very slowly. She said she called out to the specter, thinking it was my mother going to the kitchen for something, but the woman did not turn or acknowledge her. She got up and looked out into the hallway, and saw nothing but darkness. By the end of our time there, we were so rattled and unnerved, that the four of us slept in one bed. When we mentioned the goings-on to the landlady, she smiled, and said she had heard stories like this before. She explained to us that previous tenants had been mediums, and conducted seances in the house. It seems that some of the guests hadn't left. This house in 1987-88 was definitely inhabited by spirits and entities, beyond which conventional science can explain. *I am in not claiming that this property is currently haunted, or is still the site of paranormal activity. I don't know if the problem was ever addressed after we moved out. Housecreep is the top real estate website for finding stigmatized properties (i.e. murder houses, reportedly haunted houses, former drug labs etc.) and otherwise noteworthy homes. Easily lookup listings near you where murders and other crimes have occurred, where paranormal activity has been reported and much more. Housecreep was launched in 2013 by two brothers from Canada. Our aim is to encourage disclosure in the real estate industry, and to help home buyers and renters make informed decisions. 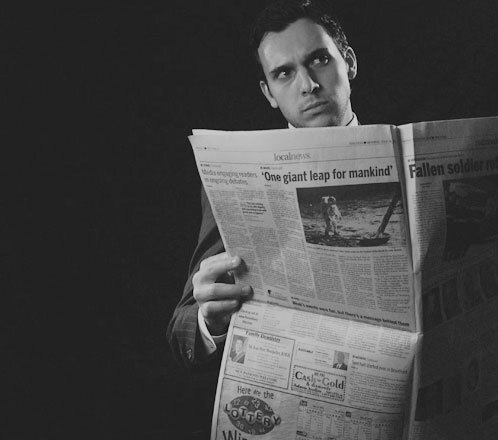 Robert Bernard Armieri is a short filmmaker, musician, and multimedia developer. He loves The Twilight Zone, oldies music, and can be found haunting the website after dark. 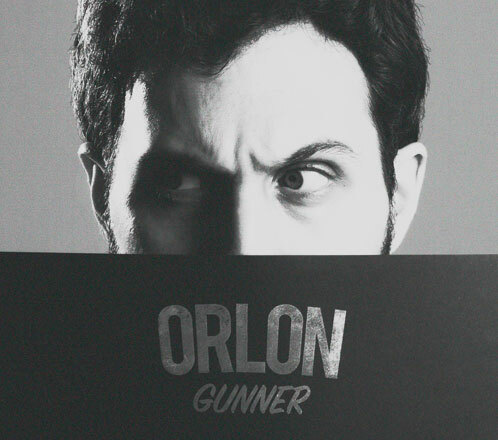 He makes indie rock music under the alias Orlon Gunner. Albert Armieri has worked in research and quantitative analysis for over 10 years. He loves blues guitar, campy horror movies, and can be found tweeting on our official twitter account scanning the shortwave radio band for extraterrestrial broadcasts. Housecreep is freely accessible to the public. Please consider a small donation to help keep the website running. Your support is greatly appreciated. Thank you.